Eyes are the windows to your soul, and it’s no wonder your peepers get so much attention: they’re usually the first things people notice about your face! Whether they’re big, round, small, almond-shaped, close-set or further apart, your eyes are unique to you and keeping them looking their best is a sure win for good first impressions. Althea’s specially curated a couple of amazing products focused on your eyes in our very first Trendy Box to give them their most captivating stare yet! 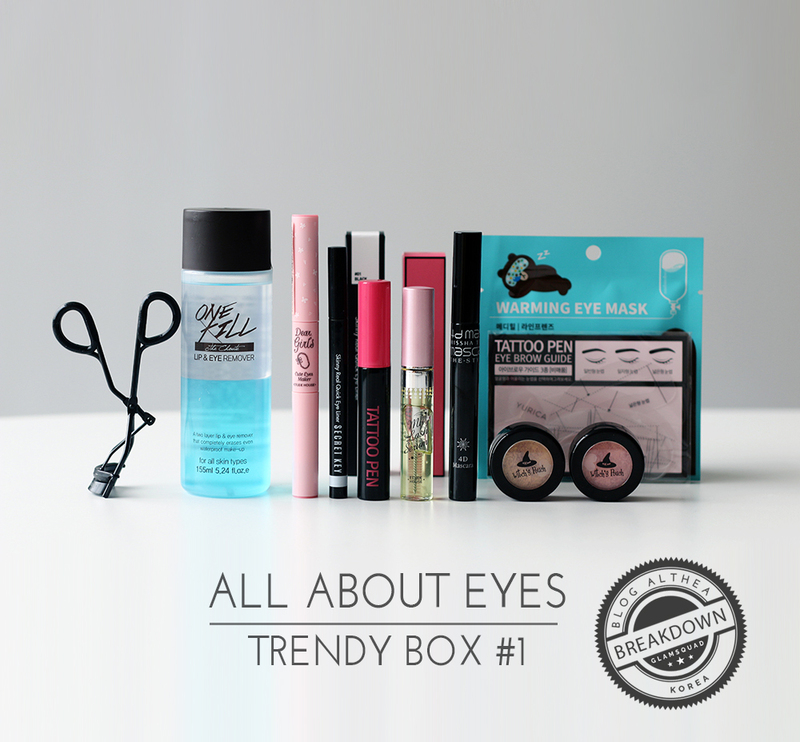 Here’s the beauty breakdown on our “All About Eyes Box”! If your eyes are windows to your soul, then your brows are their gorgeous frames! We’re all about brows that stay on all day. After all, no one likes leaving the house with full, perfectly drawn brows just to have them fade within an hour or two. Yurica’s Eyebrow Tattoo Pen comes in a universally flattering brunette shade that lasts all day! Think of it like a lip tint for your brows that’ll keep ‘em brows on your face no matter rain or shine. This product does require a little bit of prep, so it’s best to apply this on the night before you need it to last. The shape of your brows can change what you look like, and it can make the difference between you looking like a Disney villain or a K-Pop star. Sometimes, it may be harder than we’d like it to be to get both a perfect brow and the right shape to suit our face. 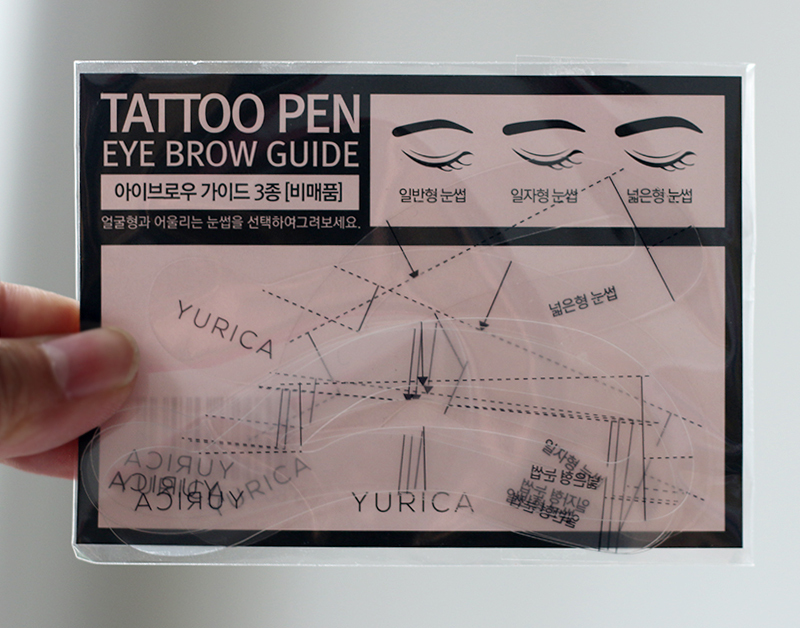 Yurica’s Eyebrow Guides are stencils that have been pre-shaped for easy application: all you have to do is pop this on and draw accordingly to get the perfect brow every time. 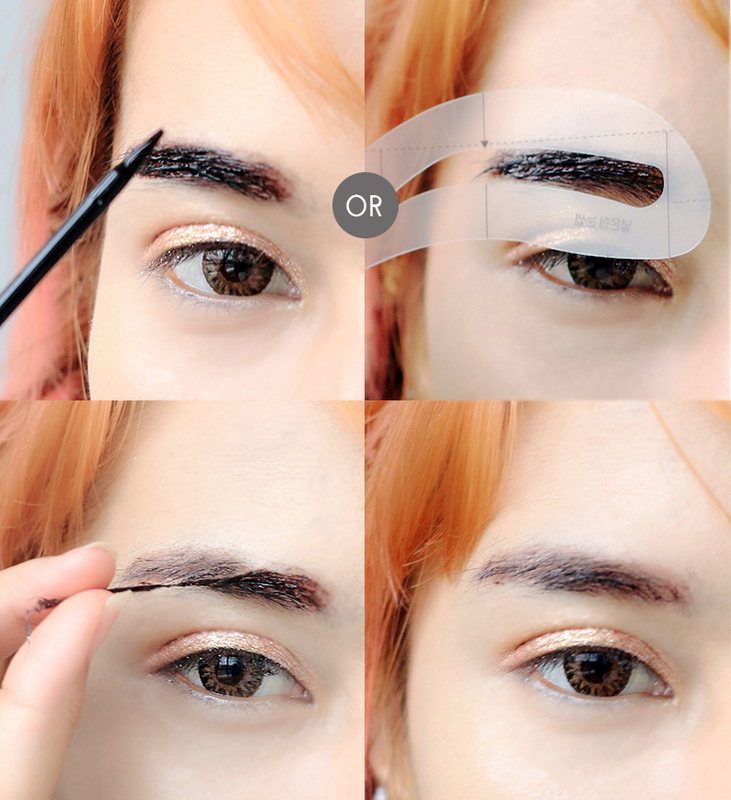 How to use: Select a shape that suits your brow structure, then hold it against your eyebrows with your fingers while you apply the product of your choice using the stencil. 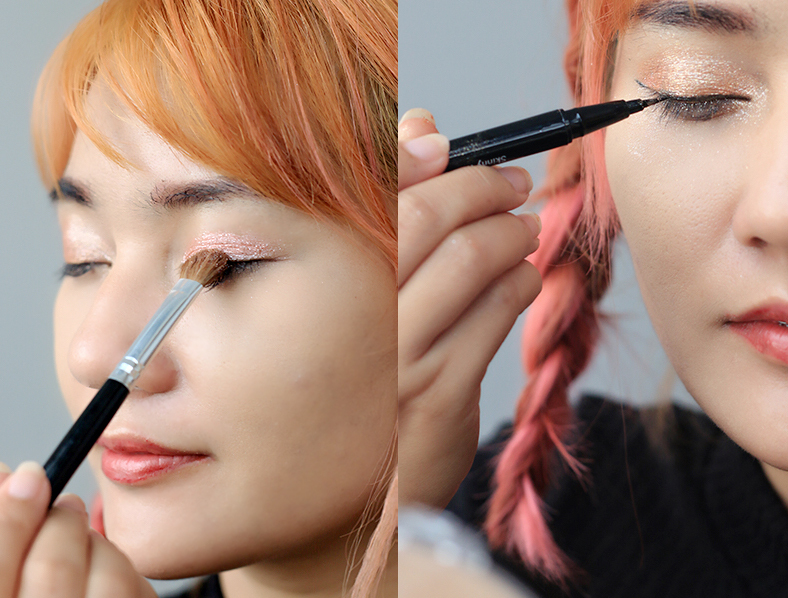 Known as “aegyo sal” in Korea, the beauty trend of creating puffy, bright eyes has become increasingly popular as it’s said to give a person a cuter, more youthful look. 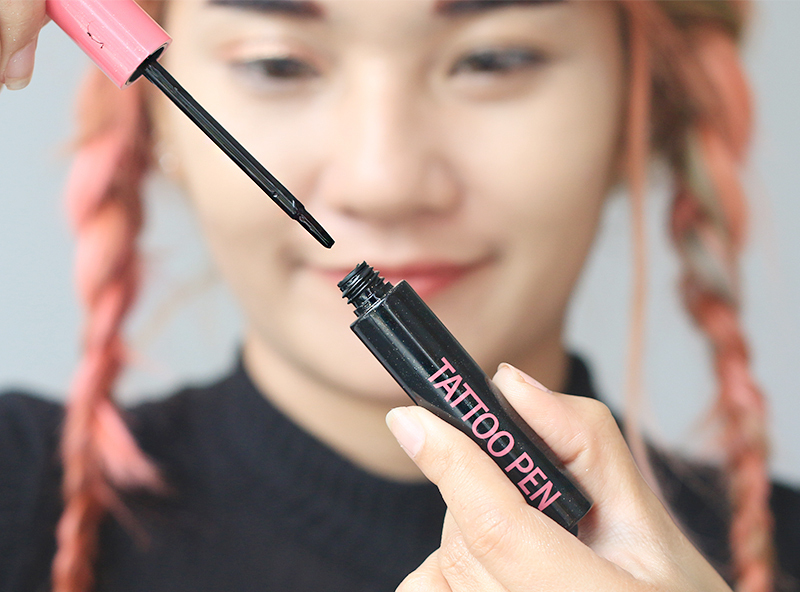 While finding the right shades to mix together may be a bit of a hassle, Etude House has come up with a 2-in-1 pen that comes with a shimmery light shade on one side and a darker brown shade on the other. Just apply it on and blend out with your fingers, and you're good to go. Trend alert! How to use: Apply the lighter colour to the puffiest area of your eye bags, then apply the darker shade right underneath. Gently blend for a seamless finish. Oh my goodness! We LOVE these eyeshadows and are absolutely over the moon that they’ve been added to a box for everyone to try out. 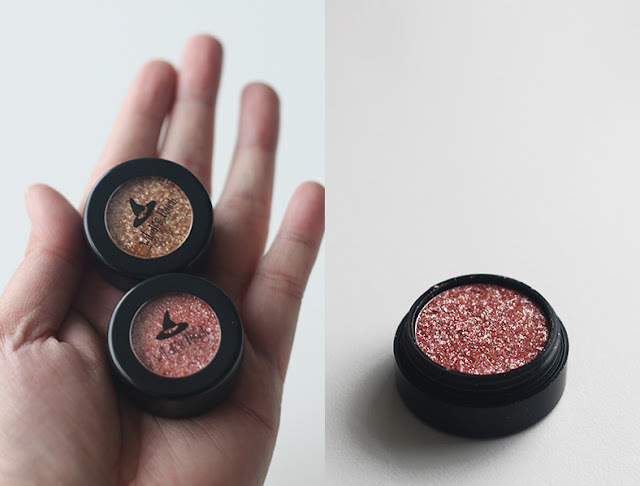 These gorgeously glittery eyeshadows are pigmented and easily blendable, and an absolute joy to look at. 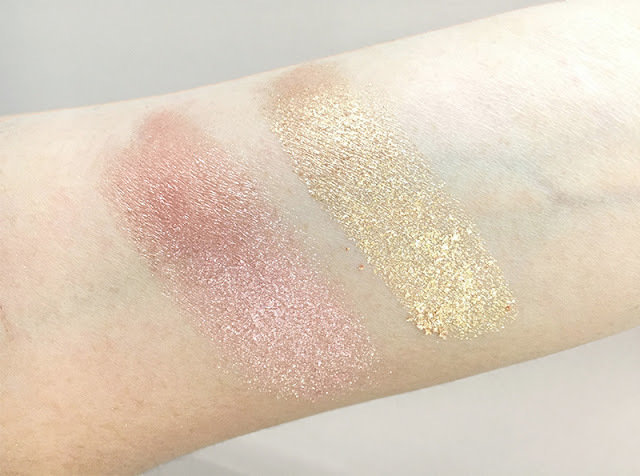 In two lovely shades, these pigments are great to wear together or alone, and really do add an extra sparkly touch to your look. We love dabbing some on for special occasions to add a glamorous touch to any look. How to use: Pick up product with a brush or your finger and apply it to the eyelid, gently blending for a seamless finish. Whether you’re going for a subtle eye look or feline flicks, eyeliner is really the way to go to finish your eye look. This eyeliner comes with a small tapered brush, making it easy to create sharp lines and edges. It also has a waterproof formula that's quintessential for those who need their makeup to last through rain or shine. We love how pigmented and intensely black it is too: no patchy, streaky eyes here! How to use: Uncap and apply according to your eye shape, recapping after use to avoid drying out. Looking bright-eyed is sometimes as simple as curling your lashes to open up those eyes! 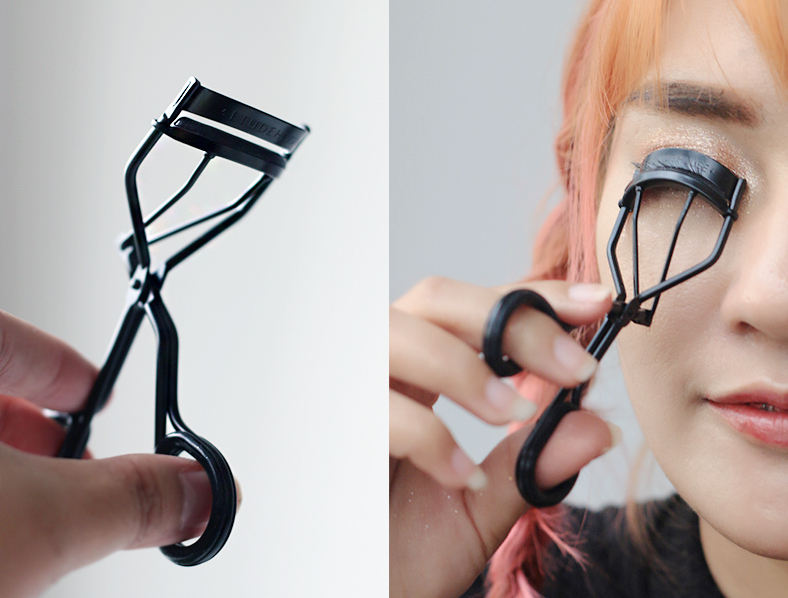 Etude House’s Curl Fix Eyelash Curler is made with a soft, bendable foam piece that allows for maximum curves without leaving any weird kinks behind (ain’t nobody’s got time to fix 45-degree lashes). Perk those lashes up! How to use: Prior to mascara application, hold the curler up to your eye and position it as close to your lashline as possible, gently squeezing your lashes between the clamp for five to ten seconds, then release. Now that you’ve gotten your lashes all nice and perky, all you have to do is coat them with a generous amount of mascara. This one from Missha has a thinner brush that allows you to really get into the nooks and crannies, even getting those tiny lashes on the inner corners of your eyes. Lengthening and volumizing, this mascara has a black waterproof formula that’ll last through tears (those of joy, we hope) and oil while giving you a flirty flutter too! How to use: Apply onto eyelashes from the base to the tip, wiggling your way up for better volume and length. While makeup is great to keep your eyes looking as good as they can, ensure that you keep those peepers clean before you go to bed so they don’t get irritations. The Choute’s One Kill Lip & Eye makeup remover is a 2-part solution that mixes into an emulsion to remove residue and makeup (even waterproof mascara can say its last words!) so you don’t have to struggle and tug to have clean skin. Follow up with a face cleanser to remove any oily residue. How to use: Shake well and saturate a cotton pad with the solution, then gently wipe away makeup. Eye makeup can take its toll on your eyelashes (mascara, we’re looking at you!). Keeping your lashes looking full and healthy requires a little TLC (tender loving care). This Etude House lash serum is infused with Cornus Officinalis fruit extract and panthenol to nourish and help stimulate lash growth, giving you healthier, fuller, longer lashes. Use it on its own or as a primer under makeup. How to use: Comb product through clean lashes. Time for some shut-eye! Before you retire those lookers for the day, give them a little snuggle with this Warming Eye Mask from Mediheal. This self-warming eye mask soothes tired eyes and encourages blood circulation, reducing puffiness too. Made fragrance-free, you don’t have to worry about strong scents irritating your delicate eye area. Just make sure you remember to take them off after the recommended time (try not to doze off). How to use: Apply onto eye area and secure with the loops around your ears, leaving on for 10-15 minutes before removing. Whether you’re going for a glammed up smokey eye or a subtle, pretty look, your eyes can be captivating enough to stop a stare from across the room with just a couple easy tips and tricks. You can check it out this amazing box set here for yourself. If you don't manage to get your hands on one (they're pretty popular), don't worry as these items can be found individually on our site. Which product is your favourite or which of these are you most excited to try? Let us know in the comments down below!